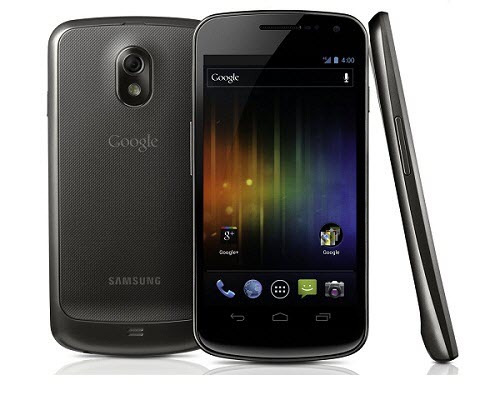 It is a right time for Samsung Galaxy Nexus I9250 users to update their device with Jellybean 4.1.2 firmware. One of the best part of this update is it comes with security features as well as host of stability. The ROM also comes pre rooted and enables the use of flash in the web browser by default. But it doesn’t comes with any visual changes. Unfortunately, there is no ETA on by when there will be an official update but all thanks to the XDA Senior Member kalo86 who has come up with this update. This firmware is based on JZO54K base. Please make a note that this firmware is strictly apply only for Samsung Galaxy Nexus I9250 GSM version and not for any other CDMA version of Galaxy Nexus variant. Before start to apply this update, you must follow the Pre-requisites which we have given below for your goodness. We strongly recommends you to take backup of all your valuable datas before start to apply this update. Just in case, if your data gets lost or corrupted due to any reasons you can easily recover your datas with the help of backup. And we also advise you don’t try to backup the data with the help of ROM Manager because it may brick your device. Once you have created backup then move them all to your computer or backup so that they are safe. After that, enable the USB Debugging in your Samsung Galaxy Nexus I9250 by following the path “Settings > Applications > Development > USB debugging” and ensure that the USB debugging option is ticked. Make sure that you have left the battery level of atleast 50% or else there is a risk of your device getting turned OFF during the middle of firmware update. Ensure that your device is rooted and installed with the custom recovery image. Once you have make sure that, your device is rooted then download the “ROM Manager” app from Google Play Store as it will require for Update process. Finally, make sure whether you have performed all the above mentioned instructions properly, after that head over to the next step where we have summed up a detailed tutorial on how to update your Samsung Galaxy Nexus I9250 with Jellybean 4.1.2 firmware. To apply this update, first you need to unlock the Boot loader of your Samsung Galaxy Nexus after that install the TWRP recovery in your device. After that, download the Jellybean 4.1.2 firmware package and Google Apps for Galaxy Nexus I9250 from here to your computer. So, once downloaded then connect your phone to the computer with the help of original USB cable and place these two zip files in your Samsung Galaxy Nexus. Make sure that you not kept the files deep inside the sub folders. After that disconnect the phone and turn OFF your device so that it can be entered into the Recovery mode. Recovery mode in Samsung Galaxy Nexus I9250 can be entered by holding the Volume Up button+ Home key button (i.e the middle button). While holding these both buttons, turn ON your device. In recovery mode, select “Wipe data/factory reset” & “Wipe Cache partition” and then select “install zip from SD card”> > “choose zip from internal SD card” to select the Jellybean 4.1.2 Firmware Package and Google Apps zip package which was placed in your device. Once you have selected, your device will take 5 more minutes to apply this update. Once the firmware is updated, the you need to select “Go Back” and “reboot system now” so that your device will be rebooting into the normal mode. Congrats! You’ve now successfully updated your Samsung Galaxy Nexus I9250 with the latest Jellybean 4.1.2 firmware.